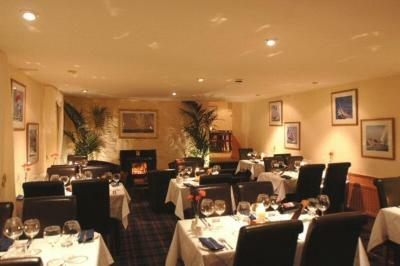 Lock in a great price for Wide Mouthed Frog Hotel And Restaurant – rated 8.1 by recent guests! We had the place to ourselves for the night and breakfast. I liked the view of the marina, and the bathroom was nice. Breakfast was enjoyable. Great room very spacious as we are a couple with a young child. Balcony area with lovely marina views. Lovely location. Easy parking. Close to Oban. 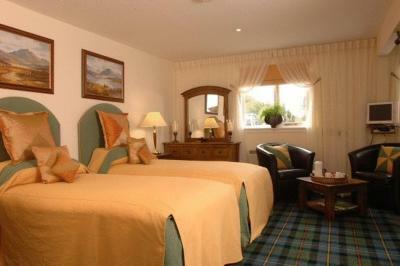 The beds were plenty comfy, the bathrooms were very clean and the staff each morning and evening were attentive. 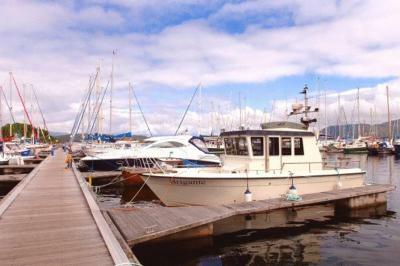 The marina views were great. The hike to the nearby castle was fun. And Oban is a very quick car ride away. The only downfall is wifi was only accessible in the pub/restaurant. The girl who looked after us was fantastic. She was funny, knew the menu, understood people’s likes and dislikes. She exceeded everyone’s needs. We left wanting to go back ASAP. 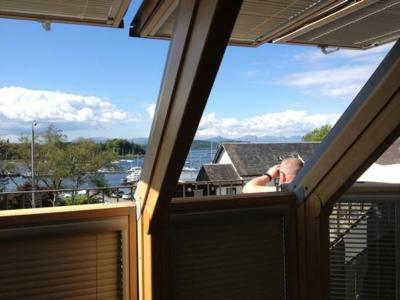 We were welcomed and shown to our clean and spacious room with a marina view, which was already heated and cosy for us. Much appreciated since it was such a chilly day, very considerate. Very dog friendly, we were able to take Jess with us while we ate in the bar, with the option for her to also accompany us at breakfast too. Very good value for money, food was quality, as were the coffee making supplies and biscuits - not to mention the excellent loo roll - no skimping here. 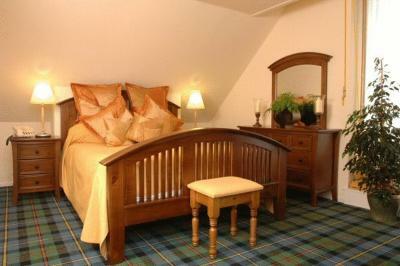 Comfortable beds and settee, excellent shower, plenty hot water. The hotel has a good location and a serviceable bar. Took 2 spaniels had a very large ground floor twin room which allowed us to get the dogs in & out easily! Very comfortable and our needs catered for well. Lovely room overlooking Marina. Good breakfast. Friendly staff. Wide Mouthed Frog Hotel And Restaurant This rating is a reflection of how the property compares to the industry standard when it comes to price, facilities and services available. It's based on a self-evaluation by the property. Use this rating to help choose your stay! 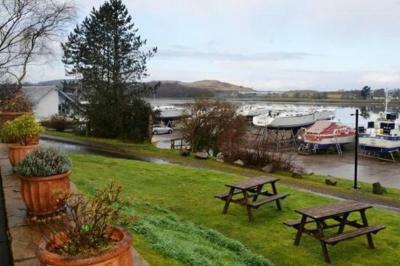 The Wide Mouthed Frog Hotel and Restaurant is located at Dunstaffnage Marina, just a 5-minute drive from Oban, Scotland. It offers an award-winning restaurant, rooms with private bathrooms and home cooked food. Rooms at the Wide Mouthed Frog have flat-screen digital TVs and most have views of the bay. Free Wi-Fi is available in public areas of the hotel. 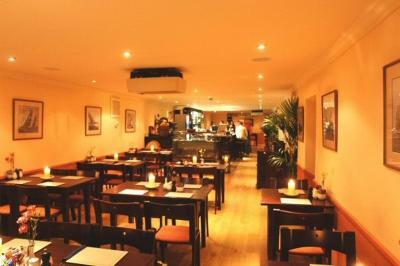 The restaurant serves traditional food and seafood specials. 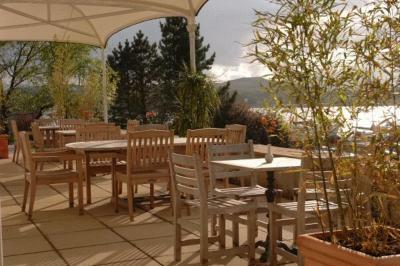 For open-air dinning there is a deck and courtyard overlooking Dunstaffnage Castle. There is a bistro and cooked and continental breakfasts are available daily. Freshly brewed coffee’s and light lunches are also on the menu. 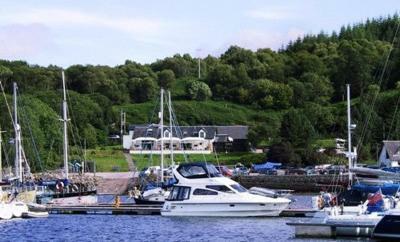 The Oban Ferry Port services the highlands and daily excursions are available. Free parking is available at the The Wide Mouthed Frog Hotel and Restaurant. When would you like to stay at Wide Mouthed Frog Hotel And Restaurant? Each room with attached bathroom has a TV and radio. Access to the New Year's Eve party night is included in this rate. House Rules Wide Mouthed Frog Hotel And Restaurant takes special requests – add in the next step! Wide Mouthed Frog Hotel And Restaurant accepts these cards and reserves the right to temporarily hold an amount prior to arrival. I wasn’t keen on the open stairs up to the room. I have a problem with height. Also it was a little noisy being close to the road and traffic. Room wasn’t clean and the staff a bit surly. They did do us a nice packed lunch instead of breakfast However. Seating in the bar area and bed room needed updating. Outside walkways needs levelled & pointing done to make it safer especially in wet weather. It's on the main road to Oban friendly reception nice view of the marina from our room area to walk my dog plentiful breakfast slightly overdone easy checkout. A bit overpriced for the quality of the accommodation although clean and comfy. Stay was good. Bar and restaurant were fine. Food was excellent. Views were fantastic.